It is better to buy younger plants that have not yet flowered when possible. Older plants can become stunted and root-bound in the tiny starter containers and will not transplant as well as smaller, younger plants. 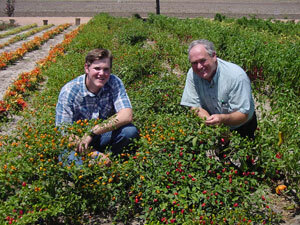 Choosing a garden center that cares for its plants and waters regularly with fertilizer water is important. The best technique is to ready the soil and area in advance in order to get the plants in the ground quickly. 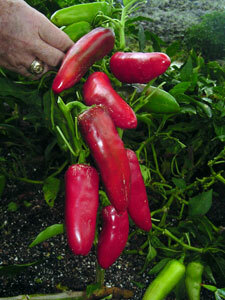 High phosphorus plant starter solutions help get pepper transplants off to a quick start. REMEMBER when transplanting peppers, DO NOT bury the main stem too deep or the main stem will rot and not root as do tomato transplants. Peppers like a sunny spot. Soil should be loose and amended with compost or a mix from the garden center. Use five pounds of a 19-5-9 fertilizer per 100 square feet of garden space and mix into the soil before planting. If growing in a container, use a potting mix amended with generous (copious) amounts of Osmocote Slow-Release fertilizer per 5-gallon or whiskey-size container. Use only one plant per container. 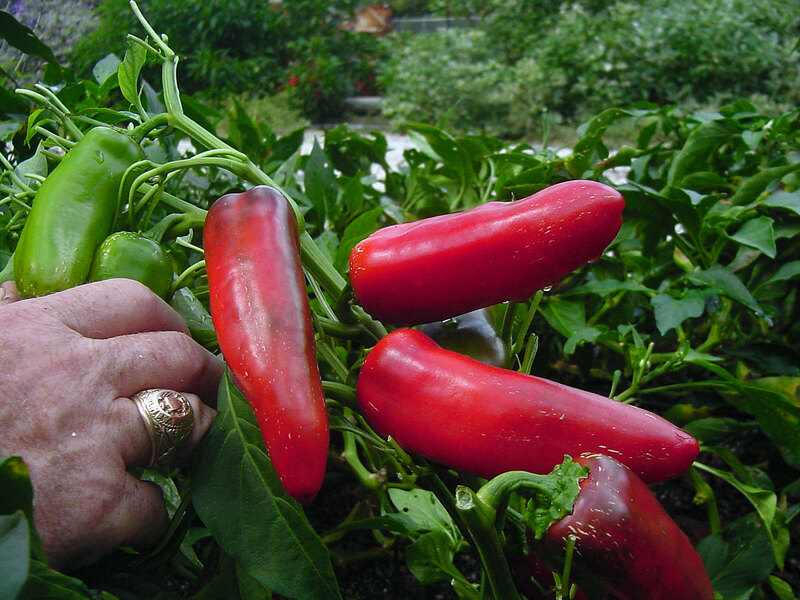 Remember, peppers are heavy feeders (require heavy amounts of fertilizer nutrients) – if you want EXTRA LARGE fruit, you will have to furnish more than “adequate” amounts of fertility. 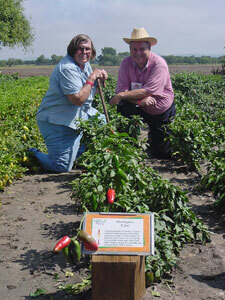 If planting in rows, set peppers 12-18 inches apart in 24-inch wide beds. If planting in squares or in flowerbeds etc., allow 12-18 inches of space around each plant. 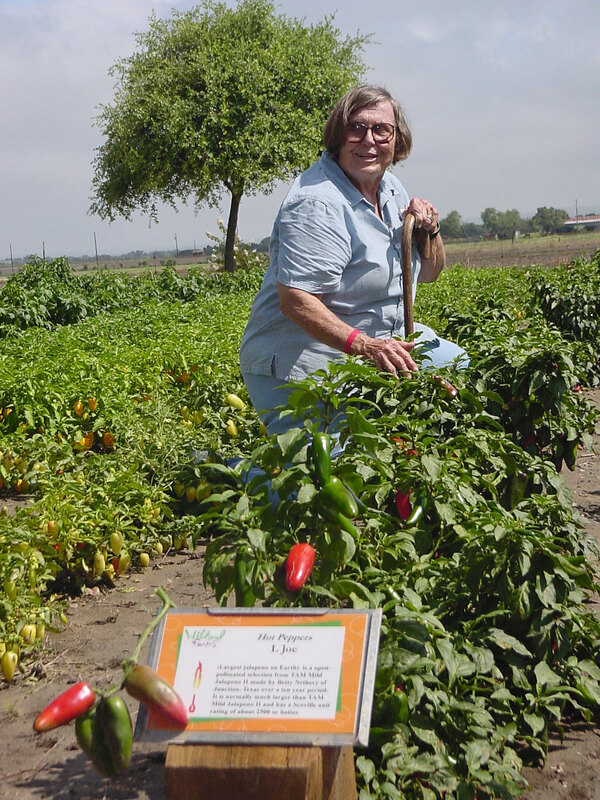 To grow the largest peppers possible, fertilize every two weeks with a cupful of the 19-5-9 (50 percent slow-release) fertilizer sprinkled near the plants on 100 linear feet of row. 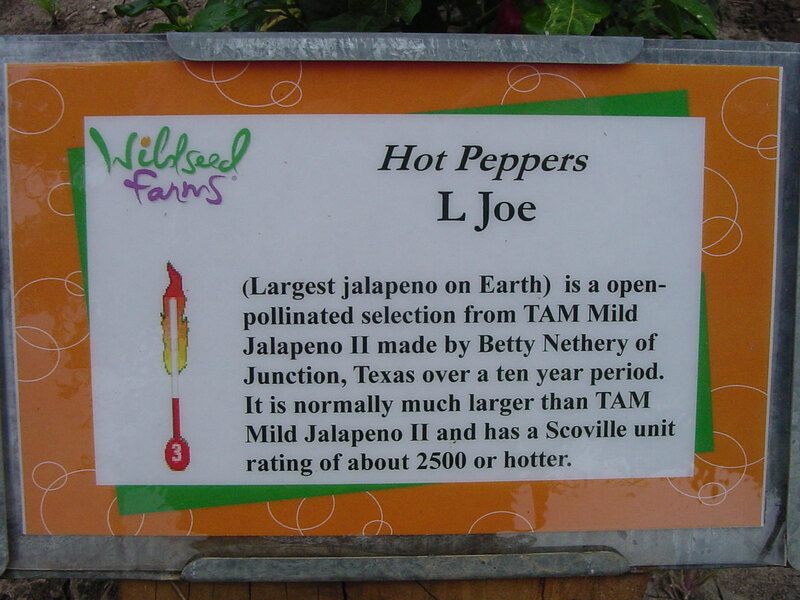 Nethery LJOE (Largest Jalapeno On Earth) or J-LOE (Jalapeno- Largest On Earth) is an open-pollinated selection from TAM Mild Jalapeño II made (selected) by Betty Nethery of Junction, Texas, over a more than twenty year period. 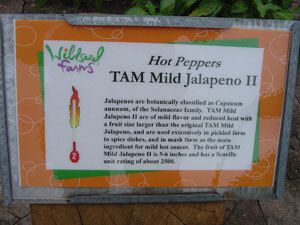 It is normally much larger than TAM Mild Jalapeño II and has a Scoville unit rating of about 2500 or hotter. 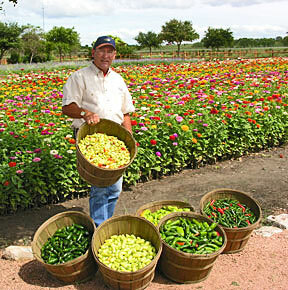 The famous serrano used in most Mexican dishes has a rating of from 7,000 - to - 25,000 with the Texas A&M Hidalgo serrano being a bit milder at 6,000 - to - 17,000. To remedy the virus susceptibility of hot peppers situation, the Texas Agricultural Experiment Station's virology breeding program, under the direction of Dr.Ben Villalon - Retired, produced varieties resistant to at least 4 of the virus diseases which most commonly cause plant damage. 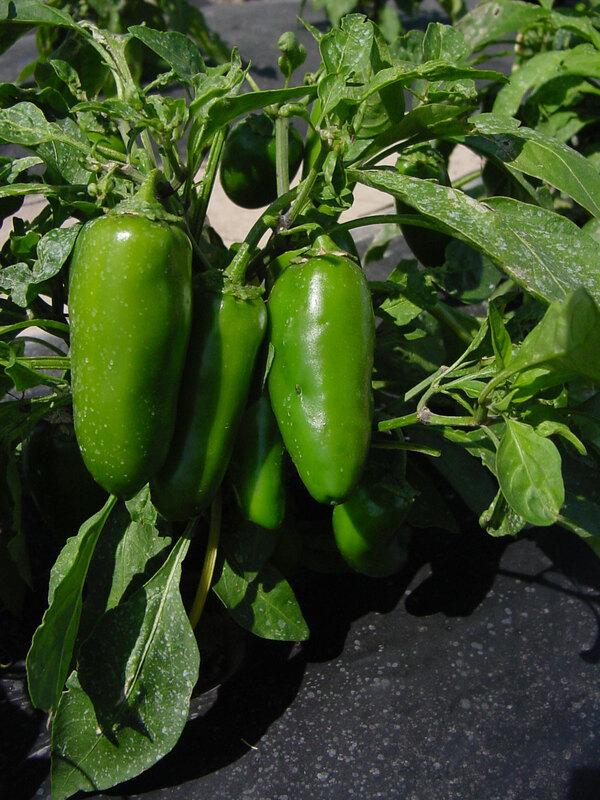 In addition to disease resistance, the jalapenos and serranos are much superior to standard varieties, and have been "cooled" down. 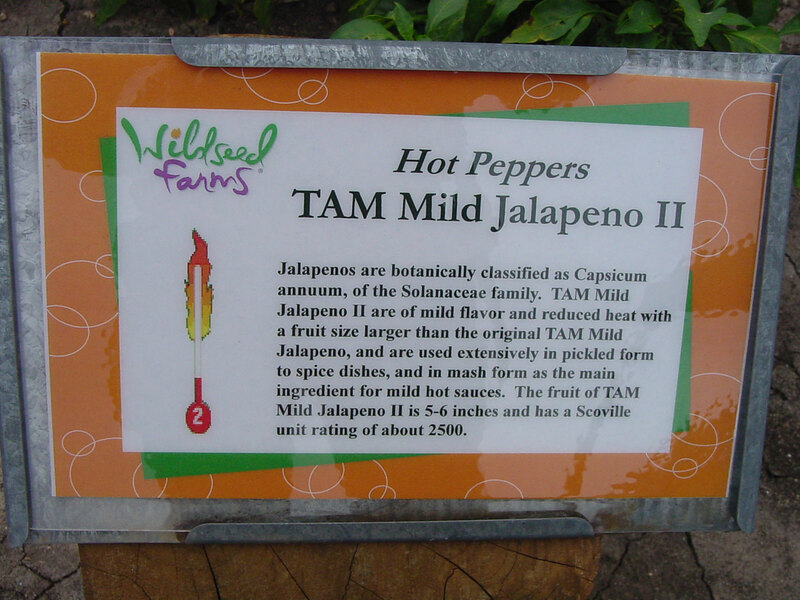 These peppers are called Texas A&M (TAM) Mild Jalapeno II and Hidalgo Serrano. 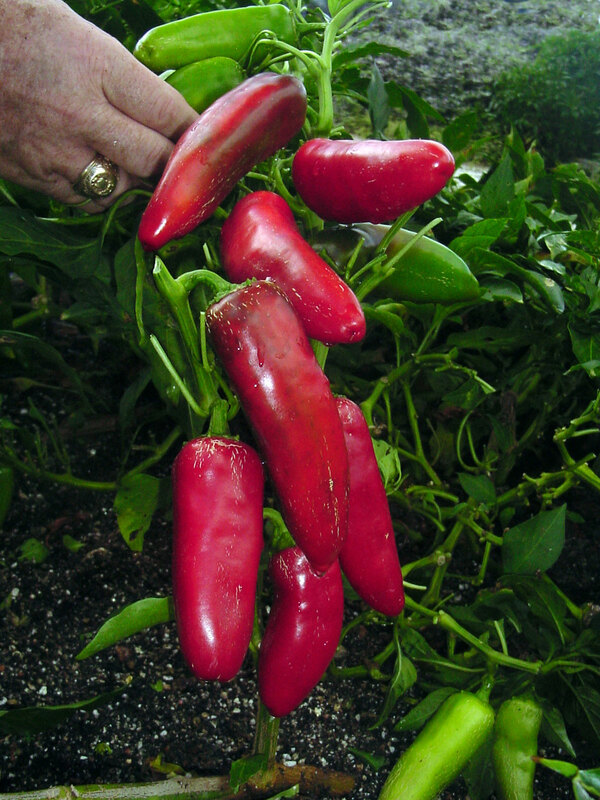 The pepper fruit possess high levels of resistance to sunburn, have firm, thick walls and are ideal to use as Nacho-ring slices. Or, slice them in half vertically and fill them with cheese or other tasty fillings. 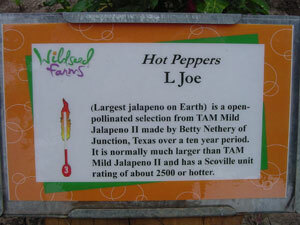 NUMBER #2: A high-yielding hybrid jalapeno sold only by the number 5810 that offers a unique combination of good size, fruit quality, and pungency. 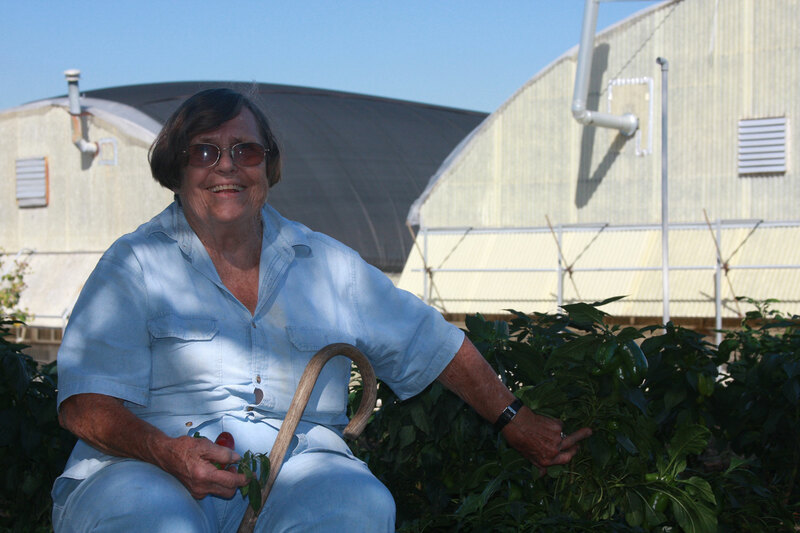 Plants are vigorous and tall with a continuous fruit set and good size. Fruit are 11 x 4.5 cm (4.3 inches x 1.7 inches) with a smooth exterior and a nice dark green color.